Cinnamon Palmiers is a fancy name for left over puff pastry sprinkled with cinnamon sugar and baked. 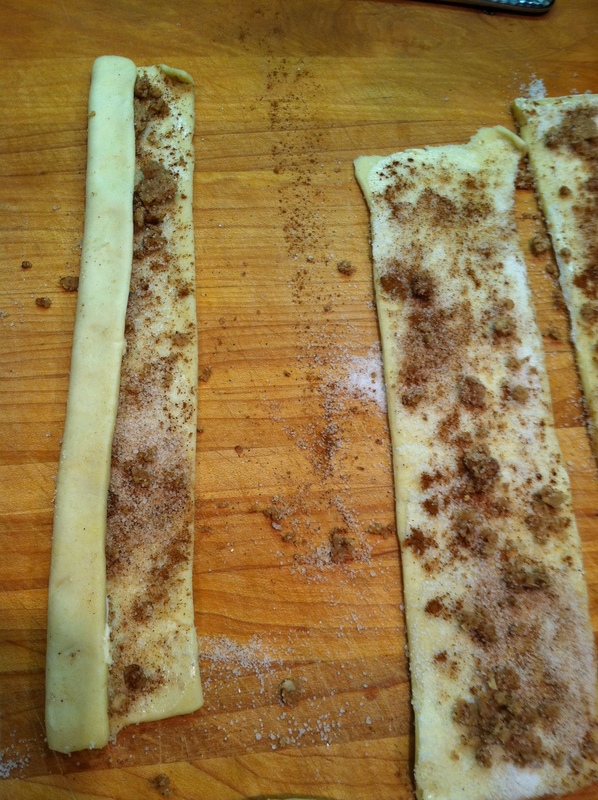 When I was a child, I recall my father making a similar treat from left over pie dough. 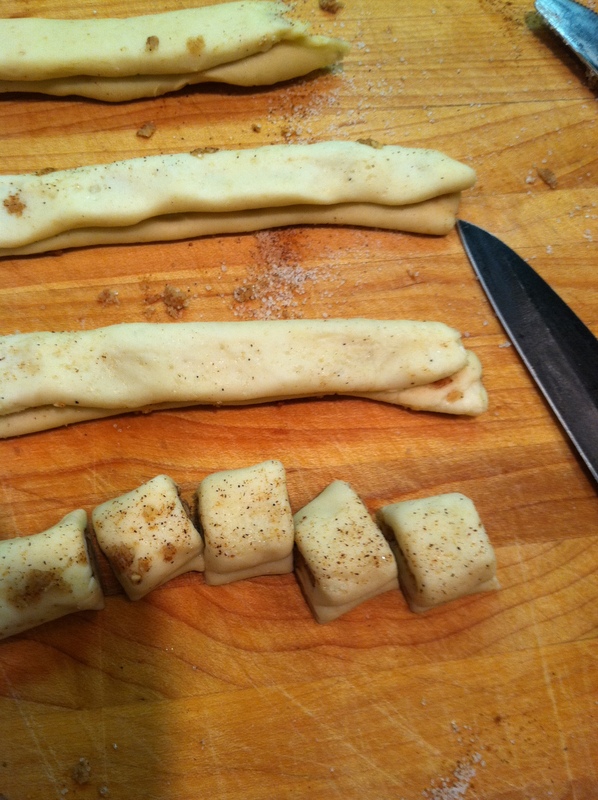 This is a great way to use all your puff pastry or pie dough scraps; no matter how small they are. Fold opposite edge to center line also. Then fold in half along the center line. Use a sharp knife to slice for a clean edge. Keep your pastry cold for best results. 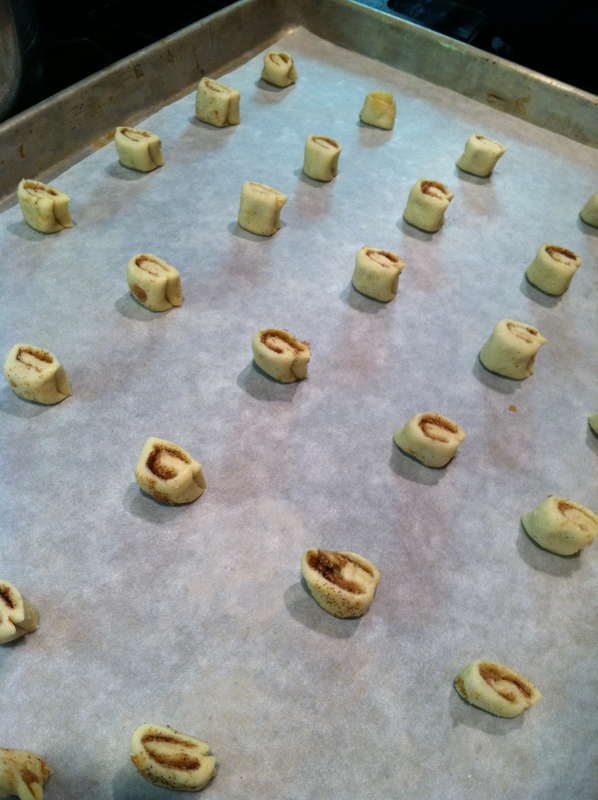 Line your baking pans with parchment paper to prevent sticking. If you want some, set some aside because these things disappear quickly! 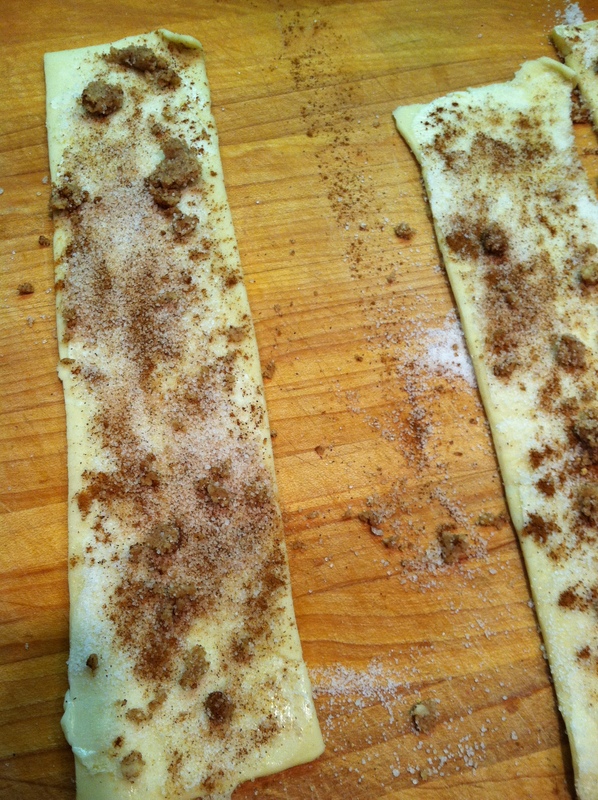 This entry was posted in Recipes, What every good cook should know and tagged Baking, Cinnamon palmieres, Cinnamon sugar, Pastry, Puff pastry, simple pastry. Bookmark the permalink. Every good wish for your Happiness this Holiday Season. I have enjoyed looking through your blog. 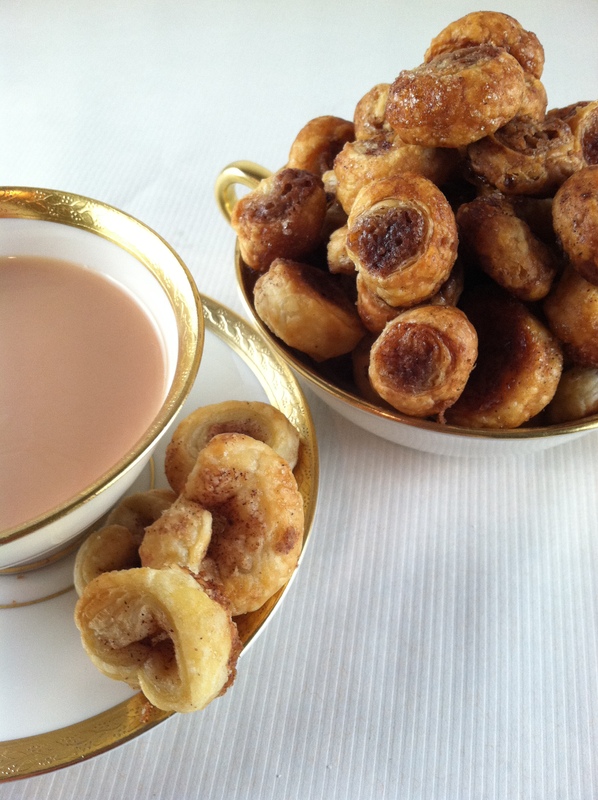 Wonderful photo of the palmieres with tea! I have enjoyed your blog, great “food for thought”! Cheers to you too! They are quite good if you include raisins or dried cranberries and almonds or pecans too. For some reason I always think about my Dad when I make and eat these. I’ve a major weakness for these. You just need say the phrase, “puff pastry” and I start getting heart palpitations. D-lish! Puff pastry can be dangerous stuff! Whenever I am in the same room with it, it jumps straight into my mouth. We dropped some into the fryer in school yesterday. 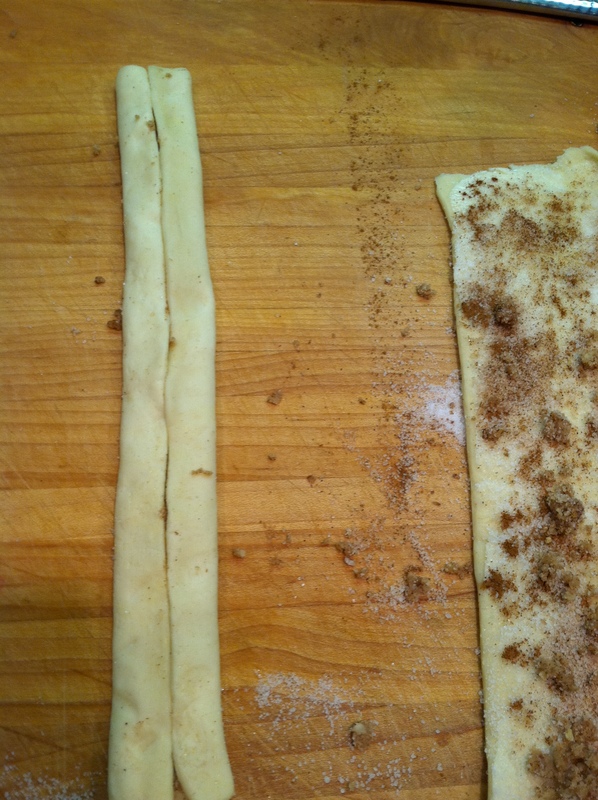 That puff pastry became lethal, imagine fried puff pastry, warm with cinnamon sugar. . . no hope for a diet with this stuff around!